Triggered emails allow you to immediately communicate with your patrons in response to actions and data in Centaman. Use lists in Centaman to define who should (and shouldn’t) receive your campaigns. WordFly will automatically send personalized welcome emails, reminders, membership confirmations or expiration warnings and more. As with other standard campaigns you should plan to test your list and email template personalization. Be sure to review the FAQ's section in this support post as well for the most common questions/answers about Triggered Campaigns. Who should receive the email? When should it be sent? This post will illustrate these three steps. Be sure to review the FAQ's section in this support post for the most common questions/answers about Triggered Campaigns. 2. Under Settings, from the type dropdown, select Triggered. 3. Under the Template section, select the Template you would like to use or create a new one. Add any personalization to your email design with data fields and dynamic tags. Learn more about data fields by reviewing this post. 4. Under Recipients section, assign the list you will be using to the campaign. Note that you won’t be importing any subscribers just yet. Triggered Campaigns are designed to import subscribers at the time of sending. You will only be assigning the list that WordFly will use each time the campaign is scheduled to send. It is expected that the imported number will initially be 0 subscribers since the campaign hasn't imported and sent to any addresses yet. (Optional) Under the sync options step, select an appeal and channel. Under the Map your fields step, be sure to map any data fields from your list to WordFly data fields. This step is required for personalization to work in your email design. For example, if you want performance date as a data field in your Template, you need to map performance date data fields during the map your fields step of the list assignment process. If you need to re-assign your list just select Change list settings. 5. Test your Triggered Campaign. Under the Testing tab, use Subscriber Preview to test a subset of your subscribers and to make sure you have all the correct personalized data pulling into the Template. Learn more about testing your triggered email's personalization. 6. Under the Activation section, schedule your Triggered Campaign for sending. Select mailing frequency: This is where you tell WordFly how often to send the campaign. One time only; Once per month; Weekly; Daily; Hourly. Select start date and time: When should the campaign start sending? Now or in the future. Select end date and time: When should the campaign stop sending? At a specific time in the future or Never. Send to a subscriber: How often should the subscriber receive the email? One time only; Every time they meet the criteria; No more than once per week; No more than once per month. Select format: This is the format of your email. Should it send as text, HTML or Mutipart-MIME? 7. Select "Activate" to schedule your Triggered Campaign. Once you select Activate your Triggered Campaign will be scheduled to send. The campaign will only send to subscribers that meet the list criteria at the time of sending. Once the campaign sends it will be rescheduled to send again at the same time at the frequency you set it to send each time. You can test your triggered campaigns lists to see if your list criteria in Centaman is correctly to pulling in the right subscribers. These pointers should help you iron out any kinks before activating the triggered campaign. If you're primarily concerned with the list that gets generated then you can test your list in Centaman to confirm that the correct subscribers are imported into the list. Start with some basic criteria. Preview the list in Centaman and review the results. If you're going to be sending membership reminders you might also setup demo memberships and then confirm that your list pulls the correct subscribers. Open your in progress Triggered Campaign, go to the Testing tab, select Subscriber Preview to test personalization in the email design. Before you start preview testing, make sure you have an email template and subscriber list assigned to the campaign. Your list will be run in Centaman. The list is not imported. The data pulled in is only used for on-screen previewing. No subscribers will be imported into the list. The preview only displays the first 5 subscribers from the list. Even after the list starts sending, the same first 5 subscribers will appear here. Use the search bar to find other subscribers that meet the list criteria. Tip: Search for @ to pull back all subscribers that meet the list criteria. The data is static once imported for preview. To pull updated data (for example, if your output set is updated or you re-map your list data fields) you must re-import for preview to pull the new data. 1. Go to your triggered campaign and click on the Testing tab. 2. Click on Subscriber Preview. 4. Select Import Subscribers for Preview. If your triggered Campaign didn't send when it was scheduled there are a few things you can check to start troubleshooting. Check to see if the list was generated in Centaman and if it contains any subscribers. If the list ran but there were no subscribers that met the criteria that might be why the campaign never sent but remains scheduled to send. Check the view used by this Centaman list. If the view doesn't have any fields defined then the Triggered Campaign will still run every day but will not import. Check the Recipients tab to view the Import Issues > Data Errors. Are there any data errors that point to integration or data mapping issues? Is the list still available to WordFly in Centaman? If the issues still continues, email us to get help. To stop or pause a Triggered Campaign in WordFly go to the campaign's Activation tab. Triggered emails will not send for the campaign. You can click on the Recipients tab and re-assign your list. You can click on the Template tab and assign a new Template by clicking 'start over' next to the Template name. 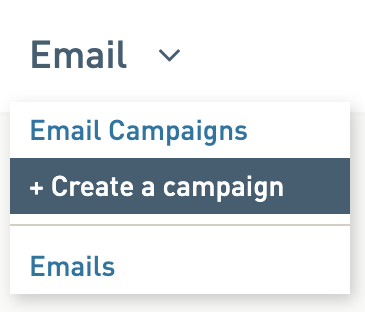 You can click on the Settings tab and update the subject line and other options for the Triggered Campaign. To reactivate the triggered campaign go back to the Activation tab and update your Start Date and Time settings then click Activate to resume sending. 1. Go to your triggered campaign and click on the Activation tab. 2. Scroll down to the end of the page and click Pause/Edit. Why are there 0 subscribers after assigning my dynamic List Manager list? It is expected to have 0 subscribers when you initially assign your list to your Triggered campaign. This step is a little different from a Standard Campaign in that you won’t be importing any subscribers just yet. Triggered Campaigns are designed to import subscribers at the time of sending. For these emails you will only be assigning the list that WordFly will use each time the Campaign is scheduled to send. Can I update the list assigned to my campaign? Yes, you can go to the Recipients tab of the campaign to update the list assigned anytime, even when the campaign is running (not paused). Go to the Recipients tab and select Change list settings, then reassign your list. You must select Save/Continue after making the list assignment updates. How can I update my email template when the Triggered campaign is running? You can edit your Template in an activated Campaign anytime by going to Emails > Email Templates. Make your edits and save your Template. WordFly will always use the latest version of your Template without having to pause the Campaign. How can I check the list import and sending history when the Triggered campaign is running? You can see your sending history anytime under the Activation tab > Sending history. You can see your next scheduled deployment anytime under the Activation tab > Sent. You can review any import history under Recipients > List history. What should I know about a paused Triggered campaign? How long should a Triggered Campaign run before ending it? For long-running Triggered Campaigns such as performance reminders and welcome emails we recommend starting a new Triggered Campaign each year. Consider coinciding the turnover to a new Triggered Campaign with your fiscal start/end dates. This ensures WordFly continues to run efficiently with your list imports and also gives you the opportunity to review data year-over-year as Triggered Campaign reporting data is cumulative as one campaign.